Sometimes we are interested in the relative position of a point with respect to a triangle. Is it close to the vertices? Is it closer to one of the sides compared to the other sides? This brings home the notion of mass point coordinates or barycentric coordinates. First fix the reference triangle (say ABC). Note that if you change the triangle then everything will change. 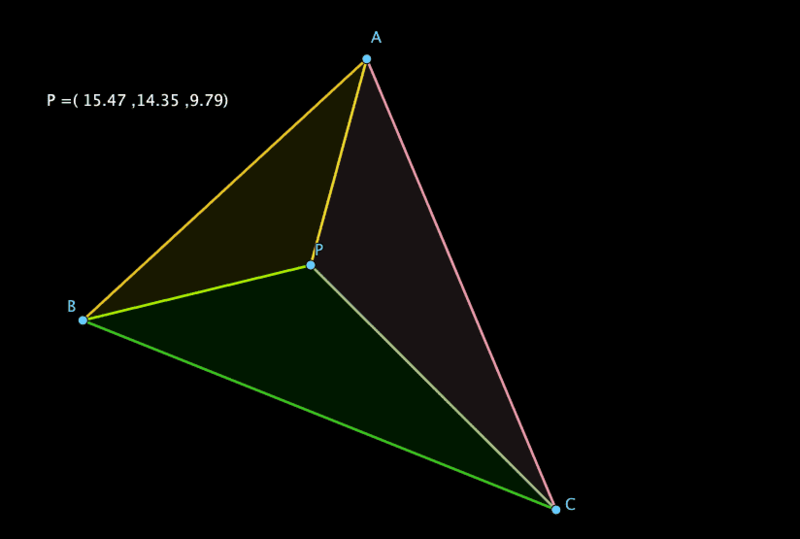 Next pick a point in the plane of the triangle (could be inside, outside or on side of the triangle. We want to associate three numbers to this chosen point. They will be the barycentric coordinate of this point. The initial idea is very simple. Imagine a seesaw. Usually, the fulcrum is in the middle, right? 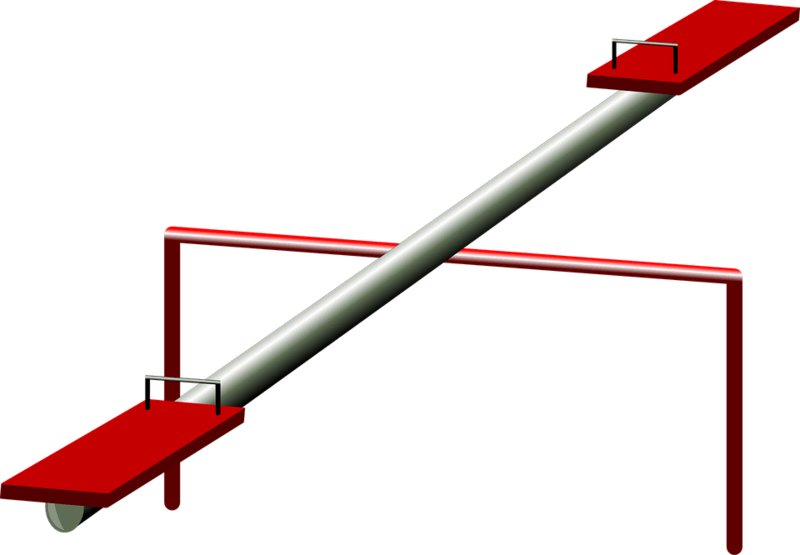 What masses should you put on both ends to balance this seesaw? Of course, equal masses will work. For example, we could put 1 mass at each of the endpoints. Also, a mass of 10 at each endpoint will equally work. This brings us to the most rudimentary form of barycentric coordinate. 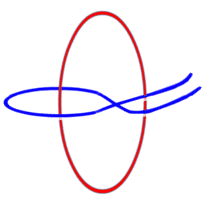 Masspoint coordinate of the fulcrum is (1, 1) or (10, 10); the masses that we need to put at the end points to balance the seesaw. How will this change if we shift the fulcrum? Greek mathematician Archimedes once said, “Give me a place to stand, and I shall move the Earth with it”. He would need a fulcrum and a long enough lever. Suppose F is the fulcrum. If mass of \( M_1 \) and \( M_2 \) balances the lever about F, then according to archimedes principle we have \( M_1 \times AF = M_2 \times BF \). The barycentric coordinate of F is \( M_1, M_2 \). Note that any constant multiple of \(M_1, M_2 \) will also work. (Why? After all, if we have \( M_1 \times AF = M_2 \times BF \) then, we definitely have \( k \cdot M_1 \times AF = k \cdot M_2 \times BF \)). This implies that if F has a barycentric coordinate \( ( M_1 , M_2 \) then it has infinitely many other barycentric coordinates of the form \( ( k \cdot M_1 , k \cdot M_2 \). We understand how fulcrums work for livers. What about ‘three-vertex’ livers? 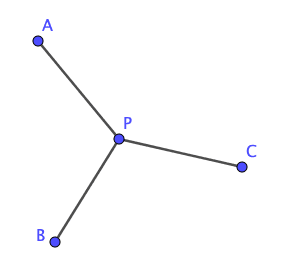 What masses should we put at A, B and C such that the entire system is balanced about the fulcrum P? In order to figure that out, first join BC and extend AP to meet it at Q. First balance BC about Q. For example, we may compute the length of BQ and QC. Put the mass worth [BQ] at C and [QC] at B. 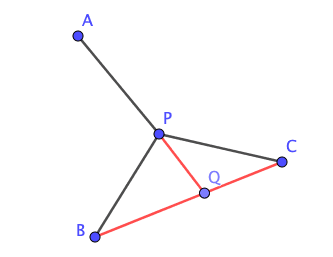 The segment BC is balanced about Q. Next, shrink BC to the point Q, such that the entire mass on BC (that is the mass at B + mass at C) is now concentrated at Q. According to our previous assumption, the mass at Q is [BQ] + [QC]. Finally compute the length of AP and PQ. Suppose the mass of x at A will balance everything out. Then \( x \cdot AP = ([BQ] + [QC]) \times PQ \). This gives us an expression for x. All this ‘balancing out’ tricks sound nice. How does it all fit together with geometry? That is what we will learn next.